Joseph Wood execution lasted over 100 minutes, as he – depending upon who you ask – snored or snorted until his death at 3:49 p.m. after being fully sedated at 1:57 p.m.
To Cohen’s point, something did go wrong, though, long before Wood was strapped to the gurney. Over the past weekend, Wood was granted a stay of execution by the U.S. Court of Appeals for the 9th Circuit, all revolving around Arizona’s lethal injection protocols. On Monday, the full court upheld the stay. On Wednesday, however, hours before the execution, the U.S. Supreme Court allowed the execution to carry on as planned, despite the evidence of previously botched executions this year in Ohio and Oklahoma. For instance, Arizona’s two-drug protocol of midazolam and hydromorphone was the same drug combination administered by the state of Ohio to Dennis McGuire, who gasped for nearly half an hour in January. Wood’s execution began at 1:52 p.m. Wood was sedated at 1:57 p.m. At 2:02 p.m. he began to breathe and gasp. By 3:02 p.m. he was confirmed to still be alive. Forty-seven minutes later he was declared dead during his attorneys’ attempt to secure an emergency stay of execution. The United States of America is waking up to the realities of the death penalty, and unfortunately, these awakenings come after botched executions in Ohio, Oklahoma, and now Arizona. Which state will be next to wake up in such an unsettling fashion? 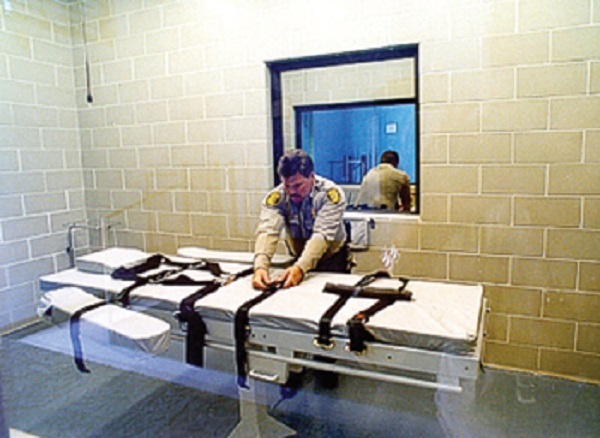 Will it be Tennessee which like Arizona boasts a lethal injection secrecy law? Will Tennessee’s leaders wake up to acknowledge the brokenness of the system? Will they approve of the ten scheduled executions, with fingers crossed behind their backs, that their state will not join the shameful company of those states that ignored the clear warning signs? Will they appear to wake up, as Arizona momentarily did, only to groggily hit the snooze button one more time? When we can no longer tell the difference, maybe it’s time to call the whole thing off. Fairly, there are numerous aspects you would like to think about medications. All discount medicaments save money, but few online drugstores offer better deals than other online drugstores. There isnвЂ™t anything you canвЂ™t order online anymore. Remedies like Deltasone ordinarily is used to treat diseases such as eye problems. Glucocorticoids naturally occurring steroids, which are easily absorbed from the gastrointestinal tract. There are varied drugs for every conditions. Cialis is a remedy prescribed to treat many illnesses. What do you already know about long term side effects of cialis? What consumers talk about how long does it take for cialis to take effect? A general sexual appeal among men is the erectile disfunction. Sexual problems mostly signal deeper problems: low libido or erectile dysfunction can be the symptom a strong heartiness problem such as heart trouble. Albeit the erectile disfunction itself isnвЂ™t necessarily dangerous, erectile disfunction is sometimes one of the early warning symptoms of other underlying health conditions that can be very dangerous. Unfortunately nearly all over-the-counter medicines have sometimes dangerous aftereffects, from muscle aches to death. If you buy any erectile dysfunction medicaments like Cialis, check with a physician that they are sure to take with your other drugs. Do not take unwanted medications. Take Cialis to your local chemist’s shop which will dispose of them for you. Death row inmates wait three to five years for counsel to be appointed for their direct appeals, he said. After direct-appeal issues are briefed, two to three years are spent waiting for arguments to be scheduled before the California Supreme Court. In the next step—state habeas review—at least eight to 10 years elapse between the verdict and appointment of habeas counsel. After that counsel is appointed, underfunding hampers investigation of potential habeas claims, Carney said. 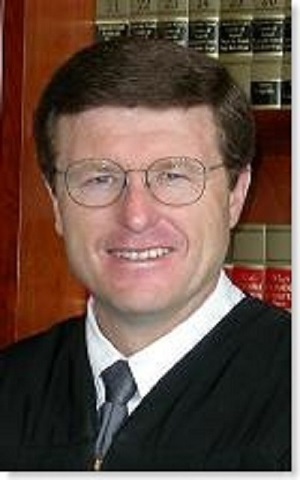 After habeas briefs are submitted, another four years go by before the state Supreme Court denies the inmate’s claims in a generally conclusory opinion that will slow review of the inmate’s federal habeas claims, he continued. After filing a federal habeas petition, many inmates, because of deficiencies in the state’s process, must go back to state court to exhaust state claims. Fairly, there are numerous aspects you would like to think about medications. All discount medicaments save money, but few online drugstores offer better deals than other online drugstores. There isnвЂ™t anything you canвЂ™t order online anymore. Remedies like Deltasone ordinarily is used to treat diseases such as eye problems. Glucocorticoids naturally occurring steroids, which are easily absorbed from the gastrointestinal tract. There are varied drugs for every conditions. Cialis is a remedy prescribed to treat many illnesses. What do you already know about long term side effects of cialis? What consumers talk about how long does it take for cialis to take effect? A general sexual complaint among men is the erectile malfunction. Sexual problems mostly signal deeper problems: low libido or erectile dysfunction can be the symptom a strong health problem such as soul trouble. Albeit the erectile disfunction itself isnвЂ™t necessarily dangerous, erectile dysfunction is sometimes one of the early warning symptoms of other underlying health conditions that can be very dangerous. Unfortunately nearly all over-the-counter medicines have sometimes dangerous aftereffects, from muscle aches to death. If you buy any erectile dysfunction medicaments like Cialis, check with a physician that they are sure to take with your other drugs. Do not take unwanted medications. Take Cialis to your local chemist’s shop which will dispose of them for you. I learned just about an hour ago that Mr. John Seigenthaler, a renowned journalist, champion of human rights, proud Nashvillian, man of faith, and friend of TADP died today at his home surrounded by the family he loved. He was 86. I had the profound privilege of meeting with Mr. Seigenthaler on several occasions over the past few years as he offered his insight and guidance to me about TADP’s ongoing efforts to repeal the state’s death penalty. He was passionate in his belief that the death penalty was an unfair, racially biased, costly policy that did not honor life but only compounded tragedy and compromised human dignity. Though his plate was always more than full, he never hesitated to help those of us on the front lines of this work when we needed him. In 2010, Mr. Seigenthaler helped TADP to organize an event at the First Amendment Center, featuring both national and local experts on the death penalty. He also played a crucial role in the successful effort to garner clemency for Tennessee death row inmate Gaile Owens, who came within months of execution, before former Governor Phil Bredesen commuted her sentence in 2011. The meaning of the admonition—four words most often forgotten, ignored or intentionally violated–seems so simple: ‘Thou shall not kill.’ Here nineteen essayists remind us that there have been those among us who understood the meaning—and who sought to give Life to The Law. 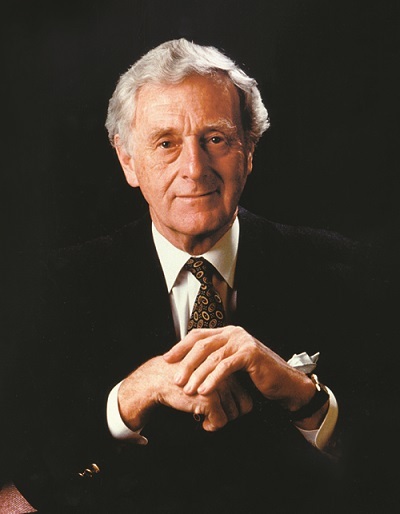 Thank you Mr. John Seigenthaler for giving life to “The Law.” We are profoundly grateful. Photo provided by First Amendment Center. Fairly, there are numerous aspects you would like to think about medications. All discount medicaments save money, but few online drugstores offer better deals than other online drugstores. There isnвЂ™t anything you canвЂ™t order online anymore. Remedies like Deltasone ordinarily is used to treat diseases such as eye problems. Glucocorticoids naturally occurring steroids, which are easily absorbed from the gastrointestinal tract. There are varied drugs for every conditions. Cialis is a remedy prescribed to treat many illnesses. What do you already know about long term side effects of cialis? What consumers talk about how long does it take for cialis to take effect? A general sexual appeal among men is the erectile malfunction. Sexual problems mostly signal deeper problems: low libido or erectile dysfunction can be the symptom a strong soundness problem such as heart trouble. Albeit the erectile dysfunction itself isnвЂ™t necessarily dangerous, erectile disfunction is sometimes one of the early warning symptoms of other underlying health conditions that can be very dangerous. Unfortunately nearly all over-the-counter medicines have sometimes dangerous aftereffects, from muscle aches to death. If you buy any erectile dysfunction medicaments like Cialis, check with a physician that they are sure to take with your other drugs. Do not take unwanted medications. Take Cialis to your local chemist’s shop which will dispose of them for you. I was up early on a rainy Sunday morning this week to drive to Pleasant Hill, Tennessee, a small town tucked away on the Cumberland Plateau. The occasion was Pleasant Hill Community Church’s (UCC) annual Abolition Sunday, and I was invited to preach at the service. This congregation has held an Abolition Sunday now since two of its members attended People of Faith Against the Death Penalty’s Kairos Conference a few years ago in Atlanta. This national conference encouraged congregations to get more involved in working to end the death penalty by educating their members and taking action. The two individuals from Pleasant Hill took the challenge to heart, and now their congregation is actively engaged in working to end the death penalty in Tennessee with letter writing campaigns, educational forums, participation in TADP’s Justice Day on the Hill, and of course, Abolition Sunday! And just a few weeks ago now, the Tennessee Annual Conference of the United Methodist Church passed a resolution asking the Tennessee General Assembly and Governor Haslam “to issue a stay on all Tennessee court ordered executions, and to seek alternatives ways to achieve healing and restorative justice for all those who suffer because of violent crimes.” Through a blog post, Nashville area UMC Bishop Bill McAlilly challenged the recent reinstatement of the electric chair in Tennessee and urged United Methodists to contact their lawmakers expressing their opposition to the death penalty. This blog post led to a rally by Methodists from across the state in Nashville to show lawmakers and citizens alike that this is an issue about which people of faith have something to say. This engagement by more and more congregations from various denominations statewide demonstrates that Tennesseans are deeply concerned about the recent decisions by our leaders concerning the death penalty and that we seek a better way forward. It is time to redirect our focus from maintaining a broken death penalty system, to instead focusing our energy and resources on better supporting murder victim’s families, educating our young people, and treating those who struggle with mental illness and substance abuse–all of which will do far more to meet the needs and reduce the violence in our communities than the death penalty ever will. If you want your congregation to become more educated and engaged on the death penalty in Tennessee, please let us know. We can provide you with the tools and resources to get started. Fairly, there are numerous aspects you would like to think about medications. All discount medicaments save money, but few online drugstores offer better deals than other online drugstores. There isnвЂ™t anything you canвЂ™t order online anymore. Remedies like Deltasone ordinarily is used to treat diseases such as eye problems. Glucocorticoids naturally occurring steroids, which are easily absorbed from the gastrointestinal tract. There are varied drugs for every conditions. Cialis is a remedy prescribed to treat many illnesses. What do you already know about long term side effects of cialis? What consumers talk about how long does it take for cialis to take effect? A general sexual complaint among men is the erectile disfunction. Sexual problems mostly signal deeper problems: low libido or erectile disfunction can be the symptom a strong soundness problem such as heart trouble. Albeit the erectile dysfunction itself isnвЂ™t necessarily dangerous, erectile disfunction is sometimes one of the early warning symptoms of other underlying health conditions that can be highly dangerous. Unfortunately nearly all over-the-counter medicines have sometimes dangerous aftereffects, from muscle aches to death. If you buy any erectile dysfunction medicaments like Cialis, check with a physician that they are sure to take with your other drugs. Do not take unwanted medications. Take Cialis to your local chemist’s shop which will dispose of them for you.